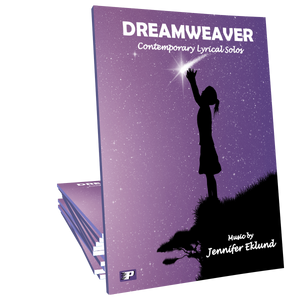 Sweet Farewell is a lyrical contemporary solo for intermediates of all ages that is part of the Dreamweaver songbook. Music by Jennifer Eklund. Your pre-teen/ teen girls are especially going to love this piece! 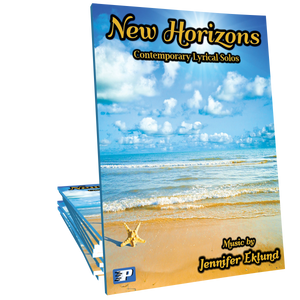 Written in a new age style, it is easy to imagine a sweet love story or friendship where each section is remembering a different event in their relationship. I use a little more rubato than the recording here demonstrates. While some of the rhythms are difficult, they repeat often so learning in sections will be key. 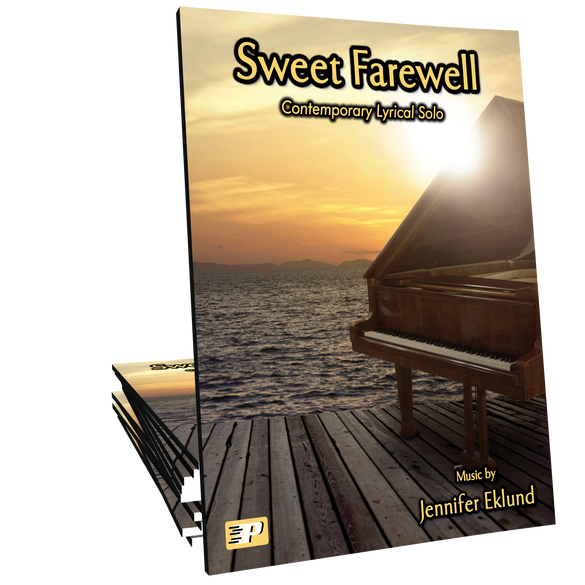 “Sweet Farewell” is sure to be a favorite! Who knows? Maybe it will even be cathartic for that one who just lost her first love. I just played ‘Sweet Farewell” by Jennifer Eklund. It’s a very pretty piece with some lovely surprises throughout utilizing key changes. I think young teens and pre-teen students will enjoy this piece, I especially like that the left hand is very manageable which leaves the performer to really work on the rhythms and keys. Some rhythm patterns are a bit difficult but repetitive so a student can master them quite well. This is a great composition for students to play early on in their study of new age pieces (so many of them have difficult left hand passages). Lovely melody! Very nice Jennifer! I have students who love Jennifer’s arrangements, and here is one more lovely piece for them! I can’t wait to show them! I love the key changes. This would make a great recital piece! Just beautiful!! Beautiful piece! Can’t wait to order it!